The second week of January was quite eventful but it was just a precursor to what awaits us in the future, more specifically next week. And the week leading up to it didn’t disappoint. We had four launches this week, the Jeep Compass got a new variant, along with the Superb and the 8-seater Marazzo. The week closed with the launch of the all new 2019 Toyota Camry. The news from Detroit saw the two iconic names make a comeback: the Toyota Supra and the Ford Mustang Shelby GT500. The new 2019 BMW 7-series was also revealed. Two big news came from Maruti as the company revealed the Wagon R completely before its launch and our sleuths informed us that the Baleno facelift too will be launched shortly in February. Toyota introduced the 2019 all-new Camry in India at a lower price point than the outgoing car. The new Camry is the first TNGA-underpinned car in the country. It comes with an updated 2.5-litre hybrid powertrain that is mated to an ECVT gearbox that drives the front wheels. In addition it is more powerful, luxurious and spacious than before and yet more fuel efficient. Jeep has introduced a new and more affordable petrol variant of the Compass in a bid to recover the sales that have been dipping since the past few months. The variant in question is the petrol Longitude AT which has been launched at Rs 18.9 lakh ex-showroom. Previously the petrol AT was available with the Limited variants only. The Longitude is over a lakh more affordable and still quite well equipped compared to the Limited. Mahindra has introduced a new top variant of the Marazzo M8 that can seat eight. Skoda too has introduced a new variant of the Superb, called the Superb Corporate. And it is available for all existing Skoda customers only. It is only available with the 1.8 TSI engine paired to a manual gearbox and is the most affordable Superb variant yet. Mahindra has announced that it will be launching its premium sub-4 metre SUV, the XUV300, on 14th February. It will come with premium features such as dual-zone climate control, front parking sensors and sunroof. It will likely be powered by the 1.5-litre diesel engine from the Marazzo and a new 1.2-litre petrol motor. The new 2019 Maruti Suzuki Wagon R is all set to be launched on January 23. But Maruti chose to reveal all there is to know about the Wagon R barring the price prior to the launch. Plus, the bookings are open as well. Maruti Suzuki has quite an eventful month planned. Hot on the heels of the Wagon R, the Indian carmaker will be launching the Baleno facelift that has been spied a few times already. Bookings have unofficially begun as well. Launch is likely by the end of this month. As we said, Maruti is not letting up with the string of launches. After the Baleno, Maruti will be launching the Ciaz with a new 1.5-litre diesel engine. It will make about 95PS and 225Nm of torque and come with a brand new 6-speed manual gearbox as well. The legendary Shelby GT500 returns in its latest avatar at the Detroit Motor Show, and what a way to arrive. The new Shelby GT500 is the most powerful road legal car Ford has ever made. In fact all Ford said was that it makes ‘over’ 700PS and wouldn’t even specify a number. In profile it looks mean and the front fascia clearly harks back to the first Shelby car ever, the Shelby AC Cobra. Speaking of Cobra, the Shelby insignia now takes centre stage on the grille and Ford claims that the new Shelby has been honed and perfected in a wind tunnel to maximise aerodynamic efficiency. Volkswagen unveiled the updated Passat at the NAIAS. It features subtle changes to the design, a tweaked interior and an updated safety package. We take part in the #10YearChallenge and take you through the popular cars in India and how they’ve changed over the years. SEO thought it would be an interesting story. 2019 Mercedes-Benz GLE: What To Expect? Mercedes-Benz has confirmed that it will be bringing the GLE to India this year. We list out what you can expect to see on the Mercedes SUV. 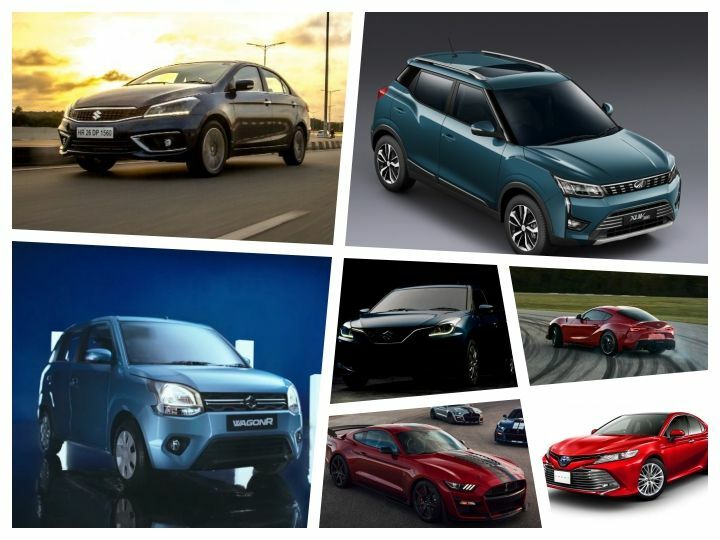 In the days leading up to one of the most anticipated launches by Maruti, we list out the differences between the Japanese and India-spec Wagon R. The differences might surprise you.